Sheela was worried. Her 8 year old Rohan was not doing well at school. 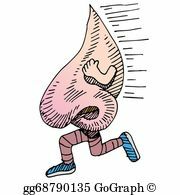 He constantly was sneezing, with a runny and stuffy nose. He used to miss school and games, because he was too unwell to attend. He used to get worse whenever she was cleaning the house and in damp weather. He was their only child and he slept with his mom and dad in the same room. they had the AC on every night. He was worse since they shifted to their new town, which was near the sea. The weather was warm and humid, and mold used to form in the bathroom. After the rains the clothes in the cupboard had a musty smell too. She consulted with her paediatrician, who decided that an allergy test had to be done for him. The doctor asked him a few questions after which he was tested for a selected few allergens, and was found to have strong dust mite allergy. The doctor told Sheela how to take care of things at home, and he was given immunotherapy. After a few months Rohan started feeling better, and his grades started improving at school. the culprit was the house dust mite. Thanks to awareness in general, and on the internet, a lot of you are aware of the house dust mite. But many of you may not know what they are. 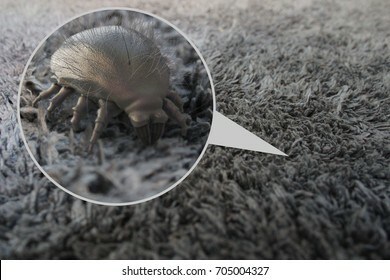 House dust mites are tiny insects of the mite family. They are small, whitish insects barely visible to the naked eye. being 0.5 mm in length.They are globular in shape, with hair on their legs and body. They are not to be confused with bed bugs, as they do not bite. They are the major cause of allergy in most of the continents, including Europe, North America, Asia and Australia. The common species of dust mites in Europe and America are Dermatophagoides Pteronyssinus and D farinae. In hot tropical regions, Blomia Tropicalis is a major dust mite causing allergy. They are commonly found in mattresses, pillows, bed sheets, blankets, pillow covers, carpets, curtains, upholstery, soft toys, etc. Even in the clothes cupboard, Air conditioning, on your furry pets, etc. How do they cause allergies, if they don’t bite? Dermato=skin, Phagoides=to eat. The name itself suggests that they eat skin. That means they are mini dead-skin eating monsters. The image below shows it all. How to manage dust mite allergy? Dust mites like a warm and humid climate. They get destroyed by extreme heat and extreme cold. If you are allergic to something the first thing you have to do is avoid it. Dust mites are a little difficult to avoid. Precautions start at home itself. Get rid of all the extra carpets, soft furnishings. Or else you will have a regular chore of vacuuming. Soft toys have to be washed with hot water or frozen. Bed-sheets, blankets, pillow covers, etc should be washed with hot water and dried in the sun. Mattresses and pillows have to be aired in the dry sun and vacuumed properly. You may require a dehumidifier or a HEPA filter too, if symptoms are extreme. They are made of fine weave fabric. They stop micro particles like dust mite pellets, etc from passing through. They can be washed once in a few months. They are encasing of mattresses and pillows, on which you can spread your bed-sheets and pillow covers. You must consult your doctor if you have troublesome symptoms. You will be prescribed appropriate medication. Some tablets and topical sprays have to be taken long term to have a good effect. Medicines help to control the symptoms. Once you stop the medication the symptoms will return. In that case immunotherapy helps, especially for dust mite allergies. In immunotherapy the main allergen extract is given in gradually increasing doses. 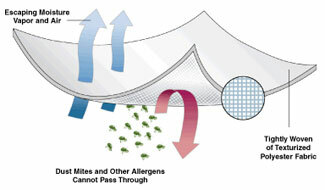 This makes the body resistant to the allergen, and reduces the reaction to exposure and symptoms of allergy. It is a natural extract. There’s no allopathic, homeopathic, steroids or sedatives involved. i.e.NO DRUGS are involved. It can be given in injection form or as sublingual form. that is drops are given below the tongue. The injections have to be given in the proper hospital setting, with monitoring and observation for half an hour before letting the patient go home. The oral drops are safe, and once the patient is instructed on how to take the drops, they can take it at home safely. How much time does it take for immunotherapy to be effective? This varies for different people. It takes a few months, in some people a few weeks. Till then the patient has to continue with his symptomatic medication. How long does a patient have to take immunotherapy? How long does it’s effect last after stopping of immunotherapy? Immunotherapy has to be taken for atleast 3-5 years. it’s effect will last then for 10-12 years. However, if you feel better and stop it after a few months, your symptoms will be back within the year. Therefore, completion of the course is necessary. Immunotherapy doses and schedules vary. They are customised as per patient. They can be given twice a week or even daily. Next postWith Professor Valerie Lund from London University.